To celebrate the huge success of the “Tower of Babel” exhibition (Organized by Asahi Shimbun Company and others) in Tokyo and Osaka in 2017, and the return of the original painting, there will be an exhibition titled “BABEL Old Masters Back from JAPAN” as an homage to the exhibition in Japan, from February to May 2018 at the Museum Boijmans Van Beuningen (in Rotterdam, Netherlands). Since 2016, Tokyo University of the Arts (TUA) COI has been conducting joint research, personnel exchange, scientific analysis and production of Clone Cultural Property, based on an agreement with NICAS (Netherlands Institute for Conservation, Art and Science), coordinated by Asahi Shimbun Company, a member company of the COI Site. At this exhibition, the following three items are displayed: an enlarged copy of the painting; 3D analysis film; and a moving “painting” (animation) film, in association with the “Study of BABEL” exhibition (Organized by TUA COI) which opened last year in Arts & Science LAB. 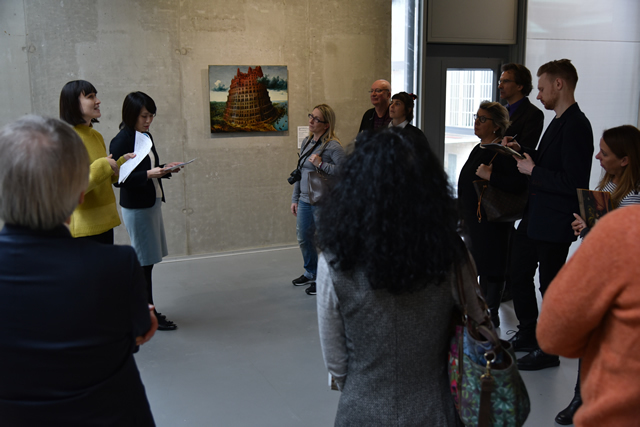 Before the opening of the exhibition, Ryuji Nishikawa, project researcher, and five other members of the COI’s Research on culture sharing group traveled to see the venue. The international press conference on 9 February at lunch time was opened with a speech by Mr Sjarel Ex, Director of the museum, who explained that this exhibition was heavily inspired by the exhibition in Japan and that it is a new type of exhibition. Around 20 press representatives joined us from all over Europe, and they were very interested in the presentations of the TUA COI researchers. The 3D film shown in the special projection booth which depicts a lifelike image of the tower received a lot of attention. 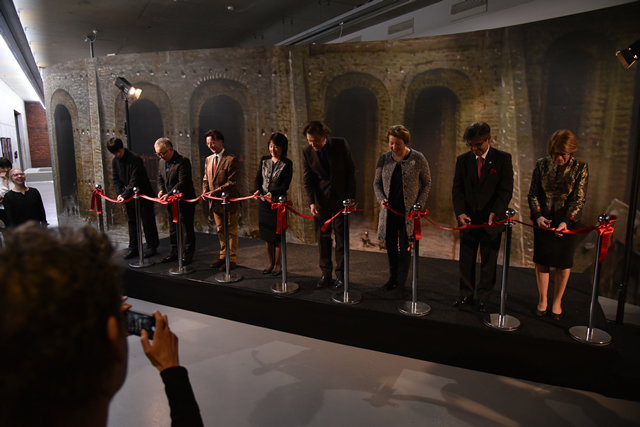 That same evening, a ribbon cut by Director Sjarel Ex and many Japanese stakeholders from Asahi Shimbun Company to His Excellency Hiroshi Inomata, Ambassador to the Netherlands, opened the splendid preview reception. 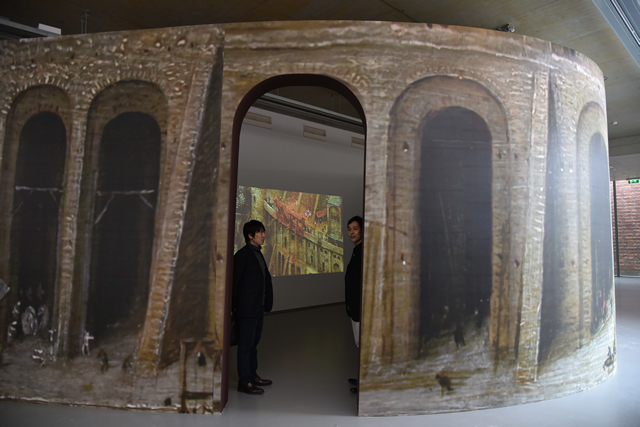 About 1500 visitors attended to see the exhibition on the tower of Babel. This exhibition is open to the public from 10 February to 21 May.